These days while reading about art, I often see information describes as immaterial or ephemeral. However, being a physicist by background, I always think of information as something physical and tangible - text in books made from paper and ink or digital information comprised of different voltages inside the mini integrated circuitry of our computers. Incidentally, these electronic states are known as bits, 0 or 1's, and are the basic building block of modern computer science. The physics of the system that holds the information guides the type of processing that can take place and unexpected things happen on the microscopic level where quantum physics dominates interactions. The conventional notion of a bit is replaced by a quantum bit or qubit, which can be in both 0 and 1 states simultaneously. This parallelism allows information to be processed much faster and in new ways compared to traditional computers. While these concepts can be tricky to intuitively understand as we never directly view the microscopic world or even the circuitry of our computer, the fact that information is physical has been known for hundreds of years and my workshop at the Affordable Art Fair is inspired by these ideas. 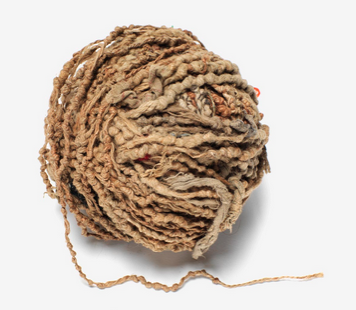 The Klikitat and Yakama people of the Columbia plateau used the knots of the "counting-the-days ball", or ititamat, to register significant life events and were created and kept by women. "Simple knots recorded individual days, while meaningful occasions, such as marriages, births, or deaths were highlighted with special markers, including glass beads, shells, human hair, and cloth fragments. As a woman grew older, her time ball contained the history of her family and the extended community, including days of bounty, hardship, or even conflict. Maintaining her time ball was so essential to a woman’s identity that she was buried with it." More recently, there have been a bunch of interesting articles about the similarities of knitting and coding. My degree show piece CLOUD (above) consisted of a handcrafted mechanical screen made entirely from natural materials. 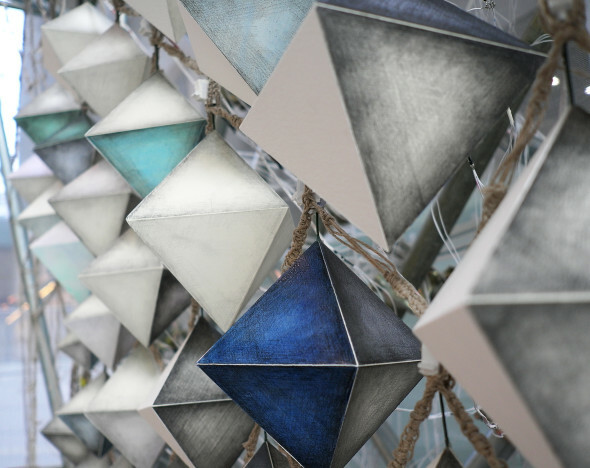 The octahedron pixels were suspended in the net made from linen, which is coded with a thousand of my thoughts from around January and February this year. Essentially the net is made using a technique called macrame, which involves making knots on either side of a group of threads. 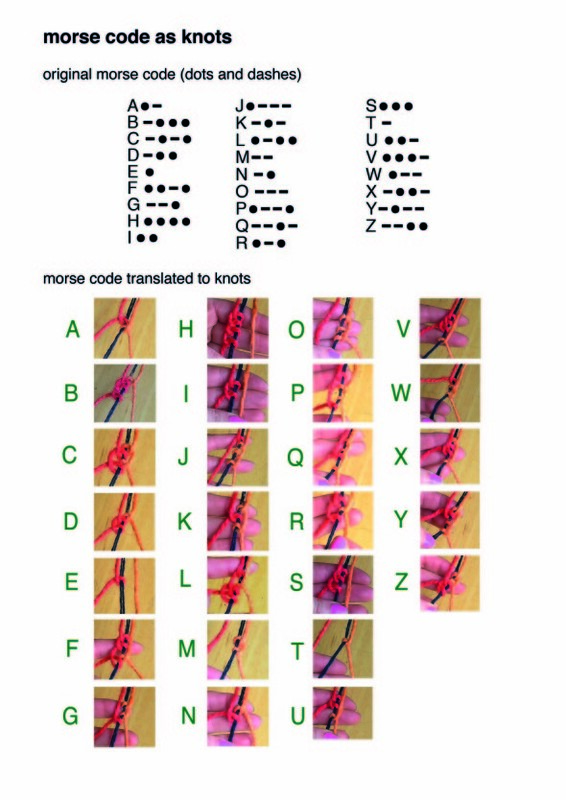 I decided to convert the famous dots and dashes of morse code to the knots used in macrame that would allow me to embed the net with personal information as the Klikitat and Yakama people had with their counting balls. The mapping scheme between the dots and dashes and the knots are shown in the image below. The messages in CLOUD's net are (hopefully!) quite tricky to decode, but in my workshop on Saturday at the Affordable Art Fair I will be asking the participants to write messages about their thoughts towards information and quantum superposition using the macrame morse code above. - what would they do if they could be in two places at the same time? I've got a bunch of colourful yarns and I'm super looking forward to hearing a variety of ideas all coded into balls of string. 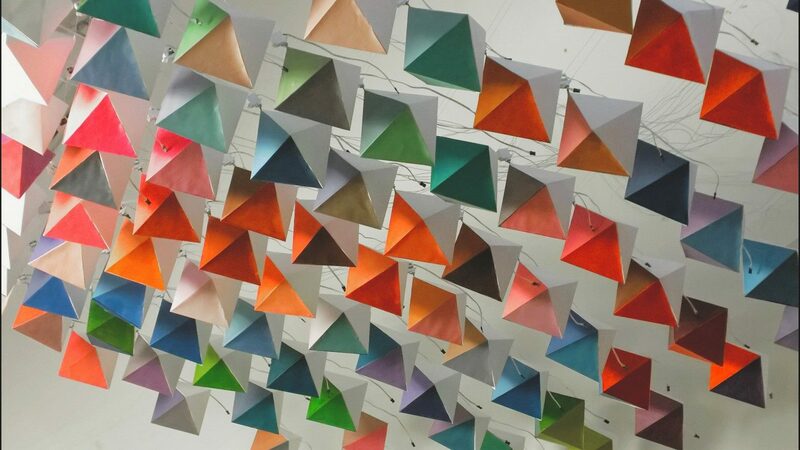 Tickets to the fair and more details about Made in Arts London are available from here. Furthermore, while you're there, spend some time playing with and rebuilding my piece 'is there love in a telematic embrace?' (pictured at the top and written about previously in my blog). 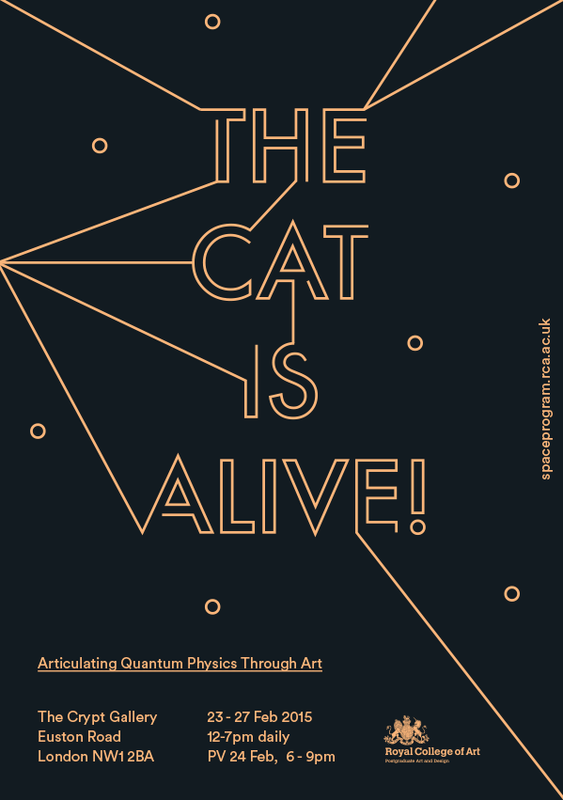 i'm very excited to be heading to aboagora festival this summer (Aug 10-13th) to take part in a quantum arts jam with my friend and crazy quantum physicist john goold. 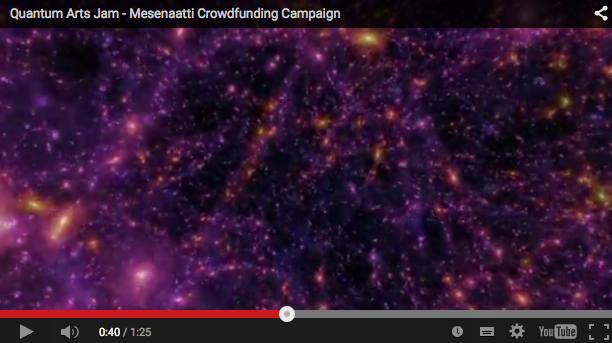 the guys out there have set up a crowdfunding account and you can watch the video explaining the ideas behind the jam here. 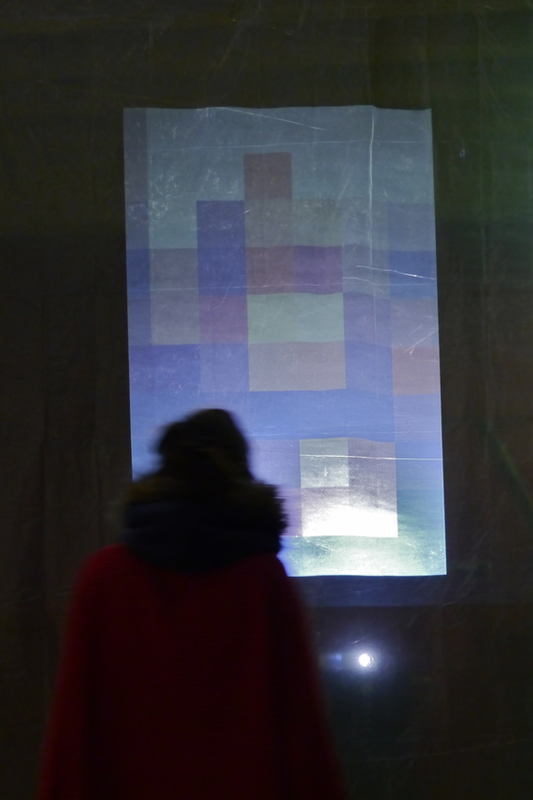 i'll be making a responsive light installation responding to the themes of complexity and entropy. 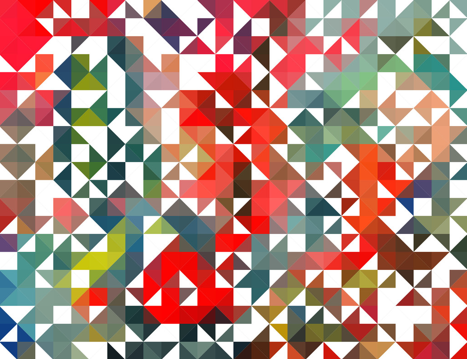 Degree show 1 opens today and runs until Monday: the details are here. Here's a little taster of what is to come at our degree show this year. Check out my classmates' work and some of my own as well as other juicy bits from the course! my magnets are going to the affordable art fair! ‘How then, could there be a content—sets of meanings—contained within telematic art when every aspect of networking in dataspace is in a state of transformation and of becoming?’. I love how already in the nineties, Ascott predicted the current information overload and the subsequent loss of meaning. 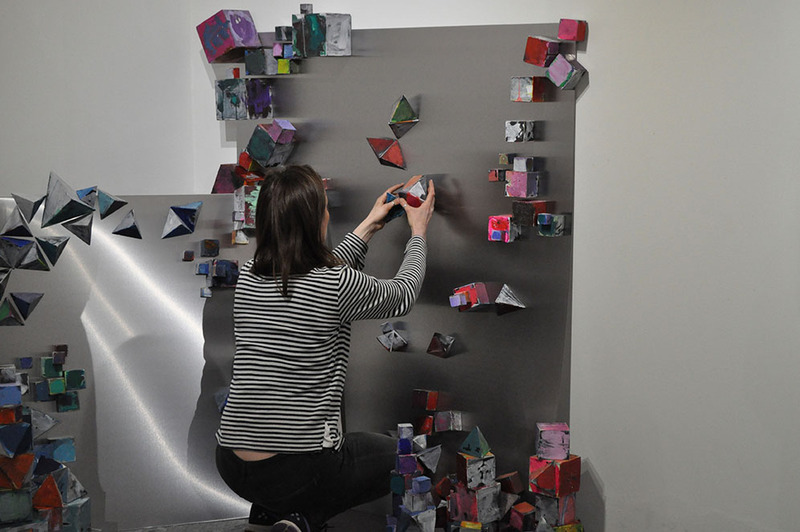 So this piece explores these ideas in a physical setting by making analogies to aspects of quantum physics and post-structuralism via a participatory installation which takes the form of a tangible, digitized painting or sculpture - a hands-on, 3D photoshop - where people can continuously build and compose new imagery, utiliizing an inherent multiplicity of colour to play with pattern making, by rearranging a multitude of magnetic platonic solids on reflective steel surfaces. These magnetic blocks are half painted with colour schemes derived from 5 digitally deconstructed, appropriated jpegs of Franz Ackermann's hyperreal (dis)utopias, with other inspiration being drawn from Dan Perfect's chaotic, photoshop-stylized cartoon like paintings. 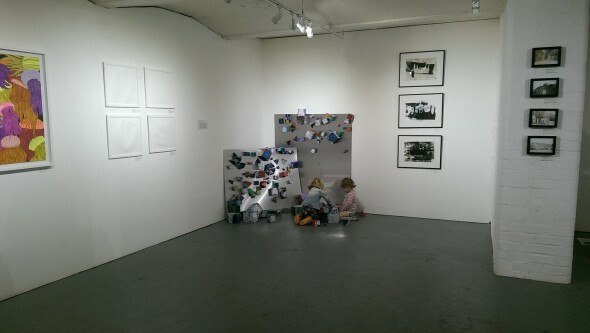 At the start of the exhibition I arranged the blocks in 5 individual piles relating to the corresponding background image giving a subtle illustration of the artist's intent. Then as the show progressed this imposed order and my intent was gradually lost and new structures created. If you are interested to hear more about this and my other work, I caught up with MiAL in my studio a few weeks ago - you can watch the video here. Supporting artists & designers to achieve their creative futures. Made in Arts London presents ‘Capsule’ an independent exhibition showcasing the ever developing journey of our emerging artists and designers. A curated collection of site specific creations, limited editions, fine art, design, video & performance pieces will be exhibited. 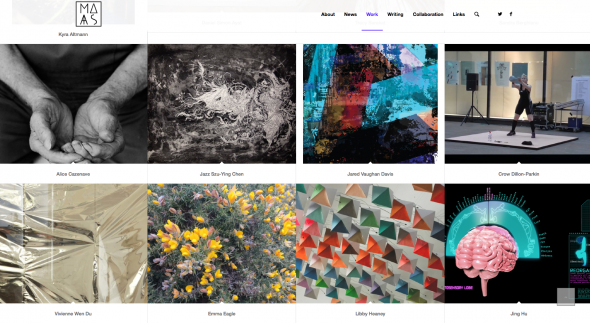 ‘Capsule’ is an exhibition celebrating the journey of our artists as they work towards their careers as creative practitioners, and the journey of Made in Arts London in supporting them to do so. 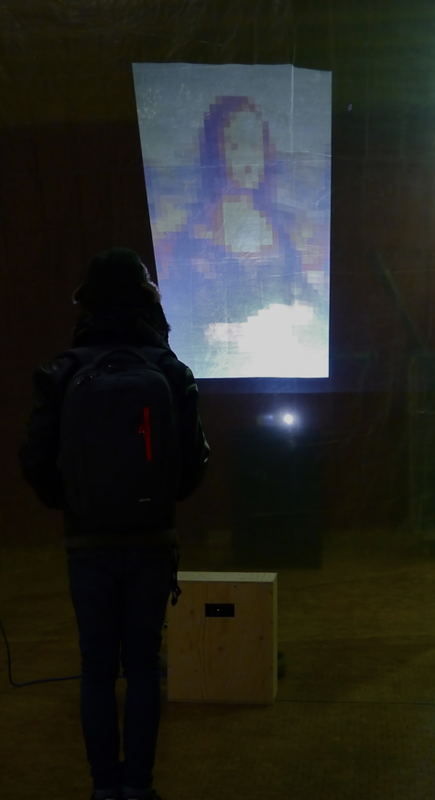 Space Program students from the RCA blur the edges of science and art in a project which started in Oxford University science labs and ends in The Crypt gallery with quantum interactions rendered in new physical, spatial, multisensory and experiential forms. We all know viewing art online is nothing like seeing it in the flesh. Luckily living in London I have an almost limitless supply of exciting new shows and events to whet my appetite. But for many people interested art outside the major cities, viewing works online is their first encounter with many pieces. I know I've been shocked both pleasantly and unpleasantly when I've finally seen pieces in their skin - Jackson Pollock's drip paintings spring to mind. What is this online experience of art like? Often the pictures are of bad quality: colours are not faithfully represented and a sense of scale is practically non-existent. And there is a wider issue at hand. In 2008, the art critic Robert Hughes made a TV show about the Mona Lisa curse: commercial artwork that is treated “as though it were a film star." 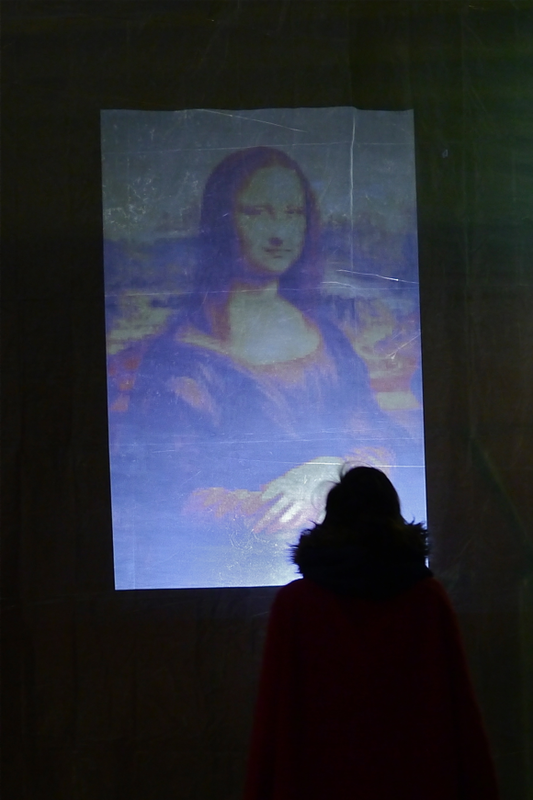 As the Mona Lisa was when it was taken to New York, "People came not to look at it, but to say that they’d seen it.” The downside of this is ever increasing prices for on-trend art, effectively blocking out museums and other public galleries from investing in, and showing, these celebrated works. This, therefore, cements the necessity for digital experiences of art even further. 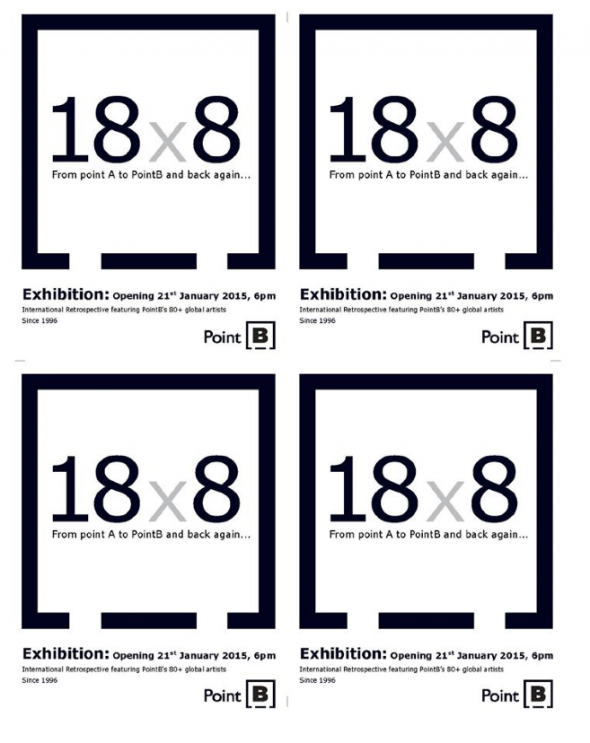 With Christmas (and my dissertation) now well out of the way, it's good to be back making art exhibiting again. For you people stateside, I have a print in a group show of international artists at Point B work lodge on Nth 7th St in Williamsburg opening next Weds 21st Jan. I spent an amazing month at Point B last summer, during which time I was tinkering with digital art and learning how to do some neat things with the Kinect. The work lodge is closing soon so this is a great chance to look around (it's a fabulous space!) and to meet Mark and other Point B alumni. I wish I could be there too! 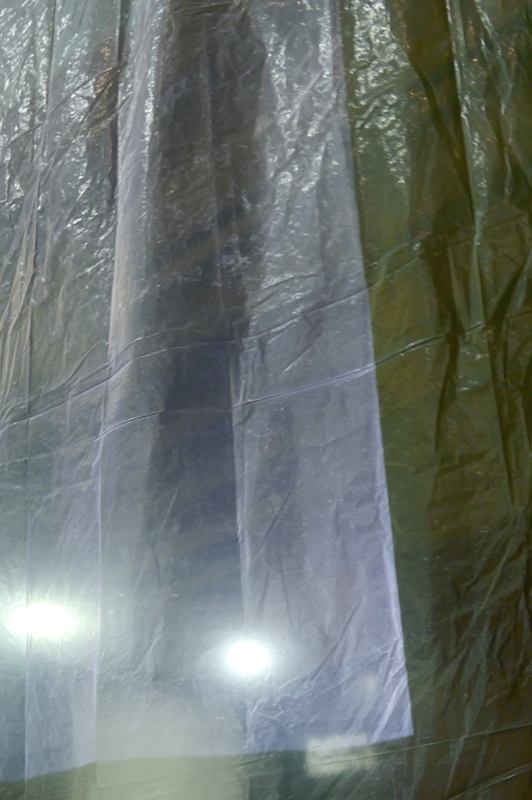 Back in London, we have the Big Space show part IV next week at CSM KX. Last year I exhibited The Markers in the same show and I'm really happy with how far my practice has come since then. This time, I'll be presenting an interactive installation that questions how we view art digitally. The Big Space show is opening on Weds 21st Jan and runs through to Friday 23rd Jan. Some of my digital prints are part of the Made in Arts London Christmas Collection. They're quite different to my previous work, so I want to tell you the little story behind them. 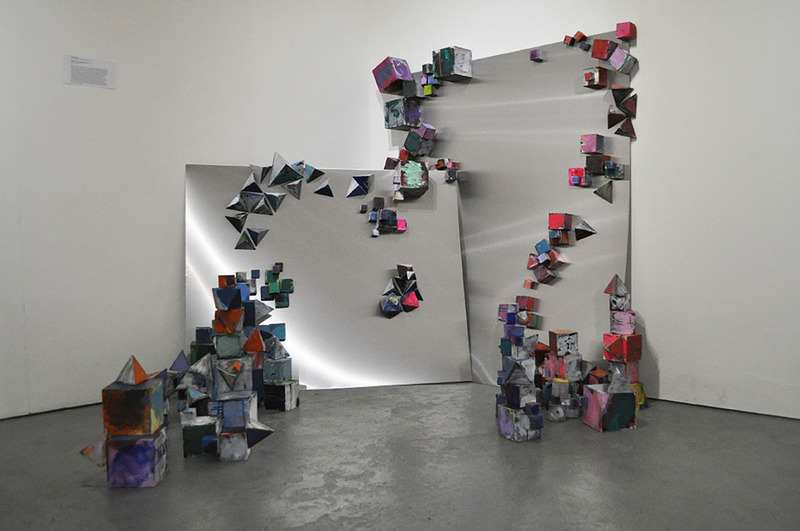 In the build up to my solo show Computation Cloud (above, November 2014), I was experimenting with virtual versions of the installation. 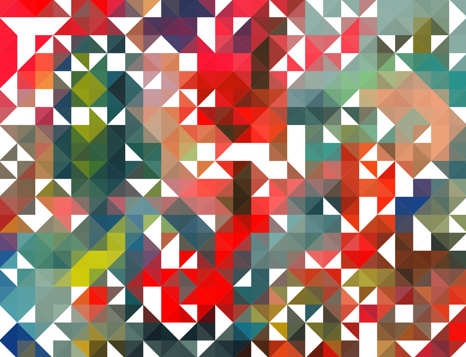 This involved making animated interactive 3D models of the piece, and pixellating appropriated images to provide a colour scheme for the octahedrons. Since I was bringing the digital world to a physical setting, I really wanted to use bright colours to attract viewers towards the piece and also to have a painterly handmade quality to the elements. In the end, my intuition led me to the following image as a basis for the elements in Computation Cloud. It is based upon a painting by Franz Ackermann - one of my favourite painters - whose work has been described before by Daniel Birnbaum as "as random as those phantom particles whose position or speed may perhaps be known, but never both at once". 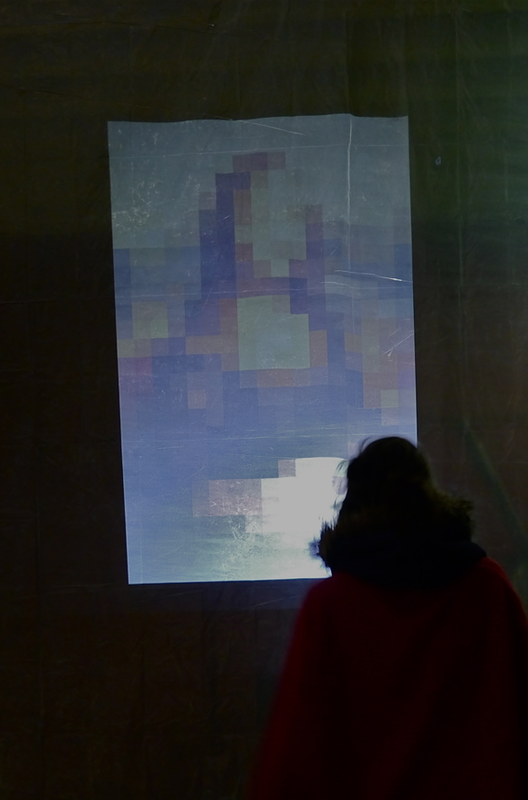 The image was pixellated using one of my original programs to give a digital aesthetic to the installation. 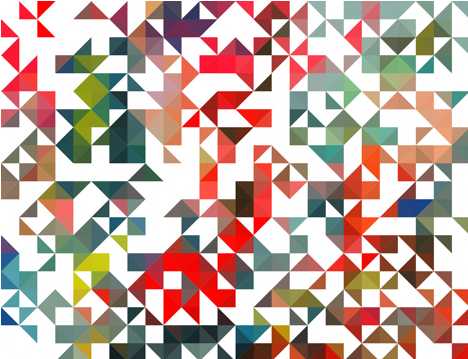 I see this pixellating process as quantising the work - in doing so, I'm deleting information about the state of the original art work, literally lowering its entropy. 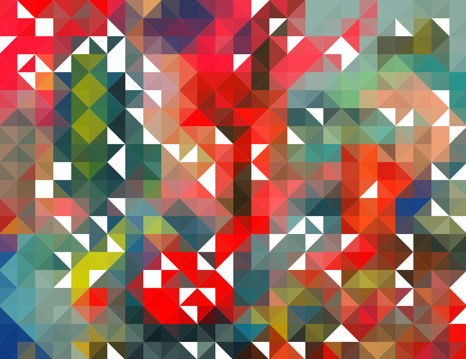 And I love the result: blurry digital fragments of an already hyper reality lurk in amongst the triangles. The image above was printed in an edition of just three and there is still one available (email me if you are interested!). My prints available via Made in Arts London are an extension of this work. I wanted to see how Computation Cloud would look when people were interacting with it. 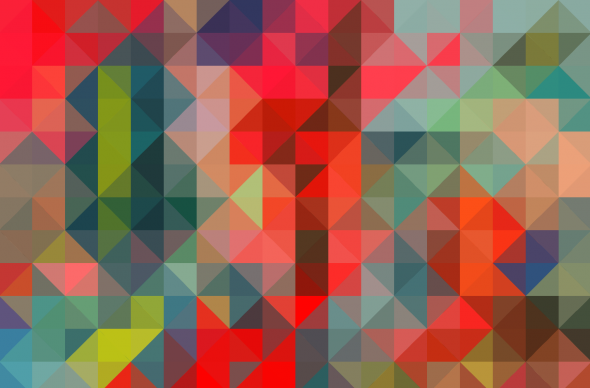 So I programmed my app to randomly change some of these triangular pixels to white (as happened in the installation itself). These are a few of the outcomes. Each print is unique as the computer ensures no two are the same. I also have a few lovely animations of these images deconstructing over time and a time lapse of Computation Cloud itself, which I'll try to post very soon.